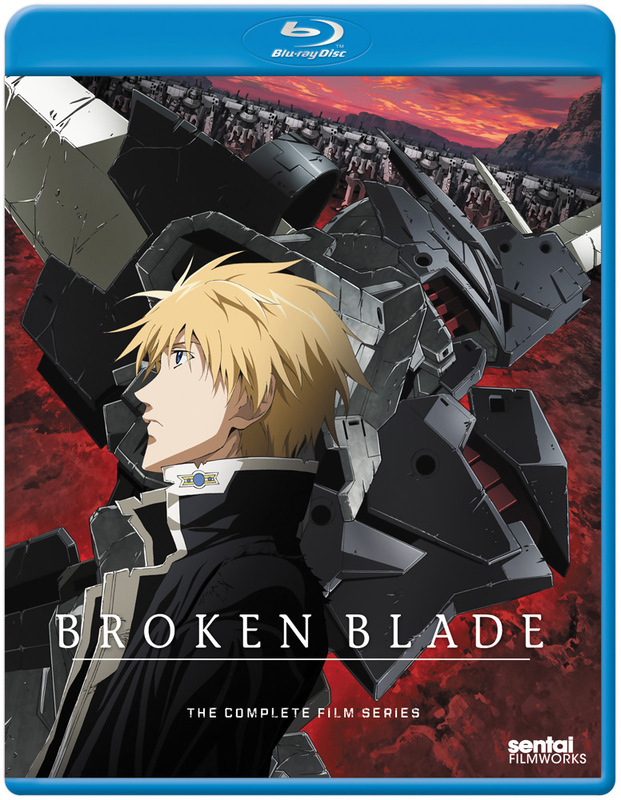 This Broken Blade complete collection contains episodes 1-6. If you like fantasy mecha shows like Escaflowne and Rayearth, I highly recommend Broken Blade. These are 6 episode OVAs that are an hour long each (2 discs). I'm glad all the episodes are in a single package making this bluray a great buy. Since this is an OVA series, the high budget visuals are a treat to watch. The sense of physics in the mech battles are done well giving you the feel of the weight. Unfortunately, this is one those animes where if you want a continuation after the final episode, you need to read the manga where the anime left off. But at least the anime gives a sense of closure even though overarching story isn't complete. For that main reason is the 4 star rating. The dub is actually quite decent from what I remember. There wasn't any annoying voice that made me switch to the subtitled version. Speaking of subtitles, everything seems to be formatted correctly, no misspellings, grammatical, or translation errors.